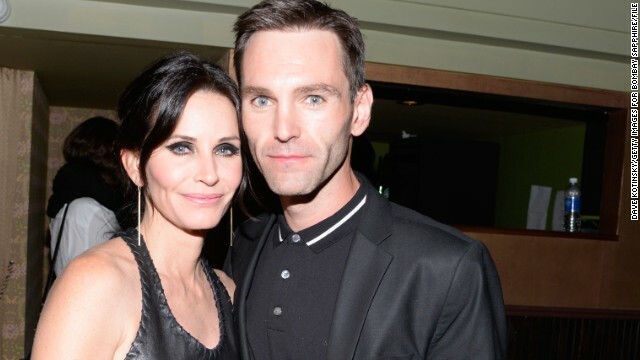 Courteney Cox is giving marriage another go. The actress, who turned 50 on June 15, is engaged to Snow Patrol musician Johnny McDaid, 37. The "Friends" star was previously wed to David Arquette, whom she officially divorced in May 2013. They have one daughter together, 10-year-old Coco, and Arquette recently welcomed his second child with girlfriend Christina McLarty. Cox broke the news of her engagement herself on Twitter, sharing a photo of herself with McDaid announcing that she's "engaged to him!" Over on his own Twitter account, McDaid returned the favor. The couple have been publicly dating since December. Wow how sweet.... cute couple.